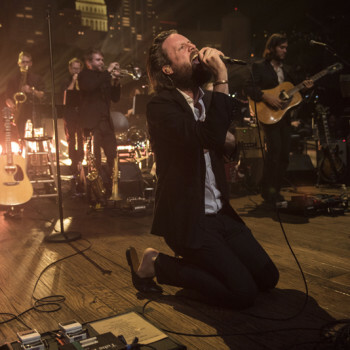 Austin City Limits presents a deep dive into the unconventional with two acts whose music provides a soundtrack to uncertain times: indie sensation Father John Misty in his ACL debut and modern psych-rockers The Black Angels in a return appearance. 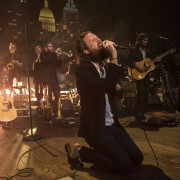 Father John Misty, the pseudonym for the singer-songwriter also known as Josh Tillman, dazzles in his 5-song debut, offering a fascinating glimpse of one of today’s most charismatic artists. The indie-rock provocateur performs songs from his latest, Pure Comedy, a 2018 Grammy nominee for Best Alternative Album. Hailed “a sprawling masterwork” by NPR, the New York Times called it “an ideal album for the era of outrage.” Father John delivers an epic performance filled with his dry wit and keen insights on religion, fame, social media, technology and the overall state of humanity, backed by a 16-piece orchestra, including a full string and horn section. For the set-closer, the sweetly cynical “I Love You, Honeybear” (title track from his 2015 sophomore album), the magnetic bandleader playfully dances with the mic stand and waltzes offstage to embrace the crowd, a cult leader for the ages, as the audience sings along for an ecstatic climax. 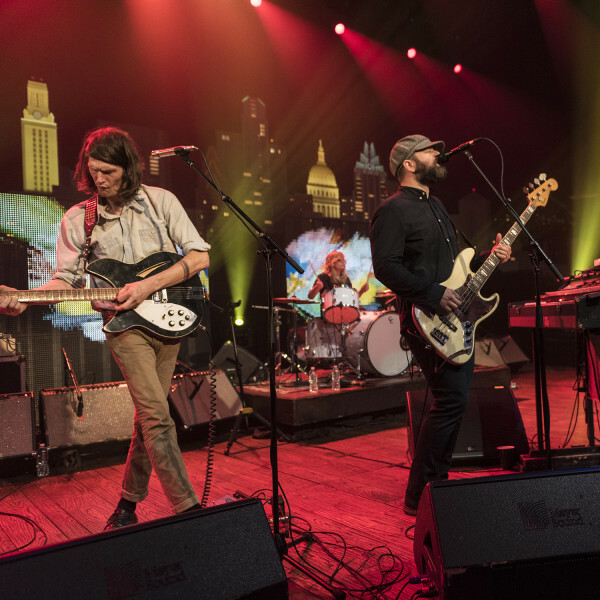 Since forming in Austin in 2004, The Black Angels have become standard-bearers for modern psych-rock. 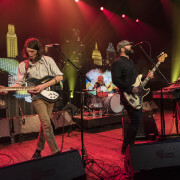 The New York Times raves they “play psychedelic rock as if the 1960s never ended, and they are absolute masters of it.” The quintet debuted on ACL in 2013 and make their return appearance with a charged set of songs from their first full-length release in four years, the acclaimed Death Song. NPR raves, “The Black Angels have delivered an enormous and frighteningly timely fifth album full of uniquely trippy anthems to oblivion.” Frontman Alex Maas’ keening vocals channel 21st century outrage on hypnotic set opener “Currency,” which pillories our capitalism-above-all-else society. Surrounded by screens swirling with kaleidoscopic images, the music serves as part protest, part emotional catharsis in a climate dominated by division, anxiety and unease, anchored by cutting wordplay and the distorted fuzz of menacing guitars. Tune in this weekend for this episode, and, as always, check your local PBS listings for the broadcast time in your area. Go to the episode page for more info, and don’t forget to click over to our Facebook, Twitter and newsletter pages for more ACL info. Tune in next week for another encore episode, featuring Americana giants Jason Isbell & the 400 Unit and Amanda Shires.